It is proved scientifically that a low dose of aspirin daily reduces the risk of cancer remarkably. The evidence is so strong that scientists recommend one dose of aspirin daily for people who are over 40 years of age. 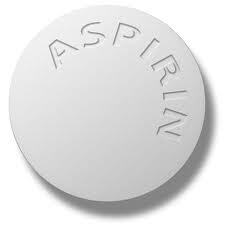 The risk of increased bleeding is still a side effect of aspirin use that limits its intake. In a study of eight trials involving 25,570 patients, researchers found that cancer deaths among those who took aspirin in doses as low as 75 milligrams a day were 21 % lower during the studies and 34 % lower after five years. Aspirin protected people against gastrointestinal cancers the most, the study found, with rates of death from these cancers around 54 % lower after five years among those who took aspirin compared to those who did not. Peter Rothwell of Britain's Oxford University said that while taking aspirin carries a small risk of stomach bleeding, that risk was beginning to be "drowned out" by its benefits in reducing the risk of cancer and the risk of heart attacks. "Previous guidelines have rightly cautioned that in healthy middle-aged people the small risk of bleeding on aspirin partly offsets the benefit from prevention of strokes and heart attacks, but the reductions in deaths due to several common cancers will now alter this balance for many people," he said. His suggestion was that healthy people could start taking a small 75 mg dose of aspirin every day from the age of about 40 or 45 and continue doing so until they reached around 70 to 75, when the risk of the aspirin causing stomach bleeding rises. scientists believe that Cyclo-oxygenase 2 (COX2) enzyme which is responsible for inflammation is present in a higher level in cancerous tissue. Aspirin inhibits that enzyme and helps to reduce the spread and emergence of cancer. I certainly agree to the idea of this post. Thanks so much for sharing this here; be back for more info.